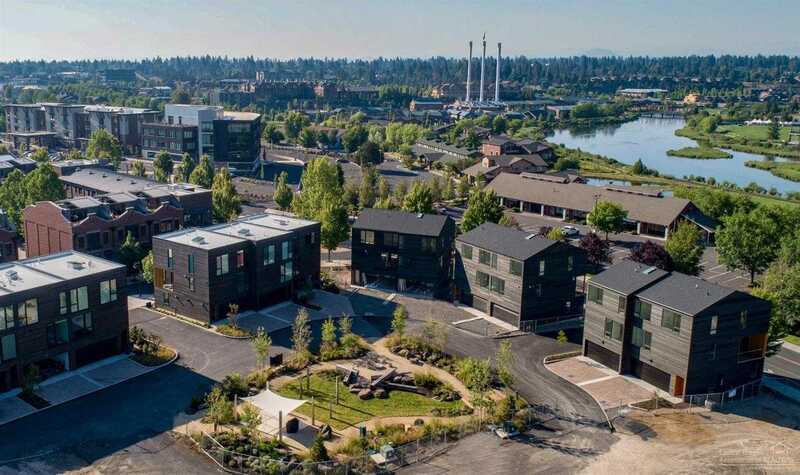 Basecamp, 25 graciously conceived luxury townhomes, was designed for the discerning Bendite who wants the best of all worlds: thoughtful architecture & the best location in town – within walking distance of downtown & w/ easy access to the outdoors. The stylish homes feature open floor plans, floor-to-ceiling windows, luxurious kitchens, premium finishes & 2-car garages. This Tumalo floorplan features 3 beds, 3 baths & westerly views. Please, send me more information on this property: MLS# 201807698 – $689,000 – 55 Sw Wall Street Unit 18, Bend, OR 97702. I would like to schedule a private showing for this property: MLS# 201807698 – $689,000 – 55 Sw Wall Street Unit 18, Bend, OR 97702.